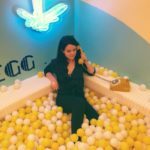 While we certainly know the true value in checking out dining destinations that have deceiving looks, sometimes it feels good to spoil yourself with a trip to a restaurant that’s simply magical. From the unforgettable views that these places have to offer to their interior that’s made up of out-of-this-world food and charming decor, we’ve put together a list of some of New York’s most stunning restaurants. 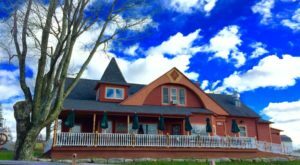 Giving you a truly jaw-dropping view of Canandaigua Lake, Bristol Harbour has long been known as being one of the most stunning dining destinations in all of the Finger Lakes. Open all year long, guests here can feast on gourmet dishes while they enjoy a unique view of the water. To find out more information about this restaurant, click here. 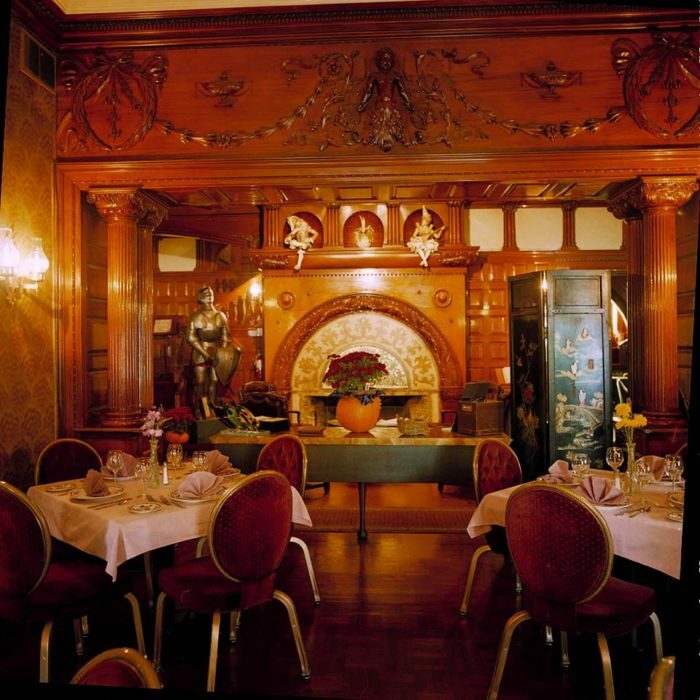 Dining inside of a castle? We're not sure if it gets anymore stunning than this. 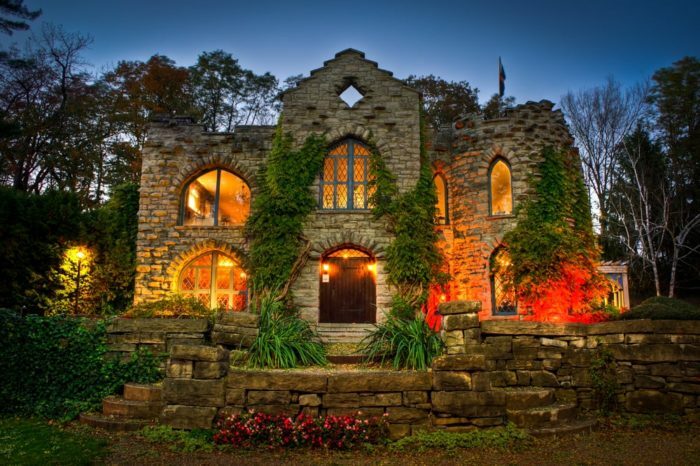 A hidden gems of Herkimer County, Beardslee Castle dates all the way back to 1860. 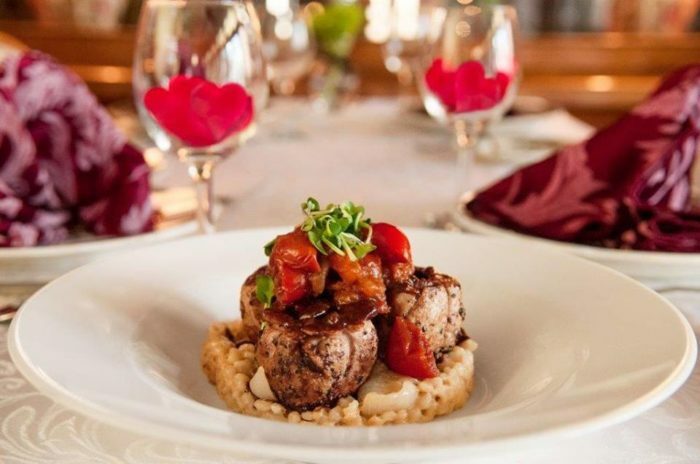 Built to resemble an Irish castle, this restaurant now serves as a truly romantic spot to take someone special or just somewhere that you can simply spoil yourself. 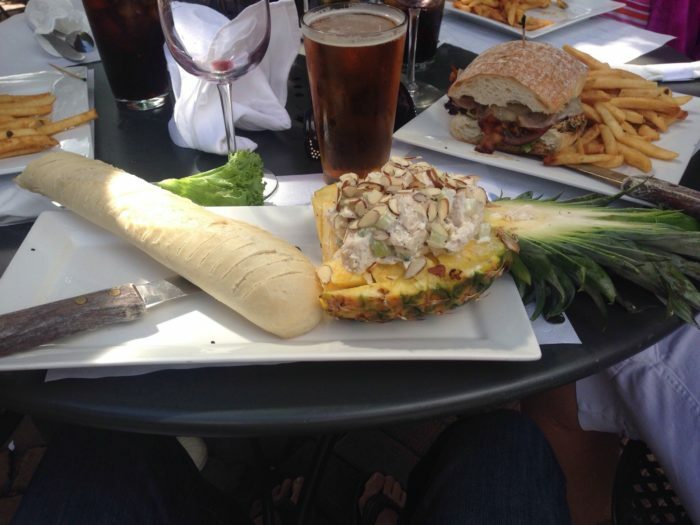 Serving up American Cuisine that will awaken your taste buds, it's easy to fall in love with this place. To find out more information about this charming castle, click here. 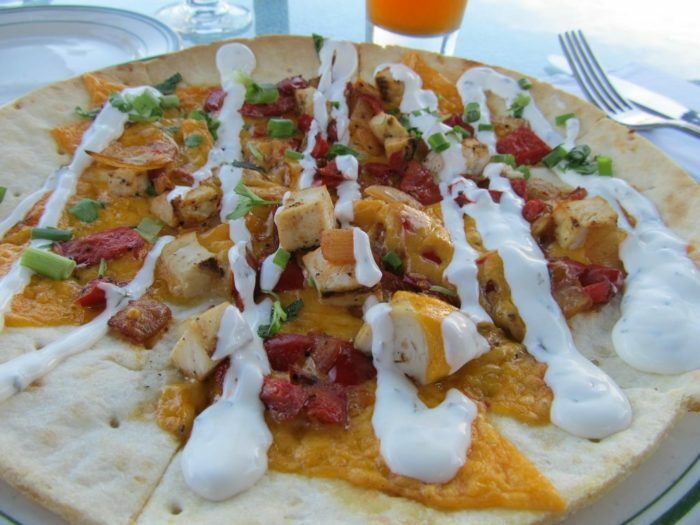 Most of us know by now that Skaneateles is one of those scenic small towns that has a wide variety of places to eat. Making it difficult to choose which place you're going to dine at, there's one location in town that seems almost too good to be true. 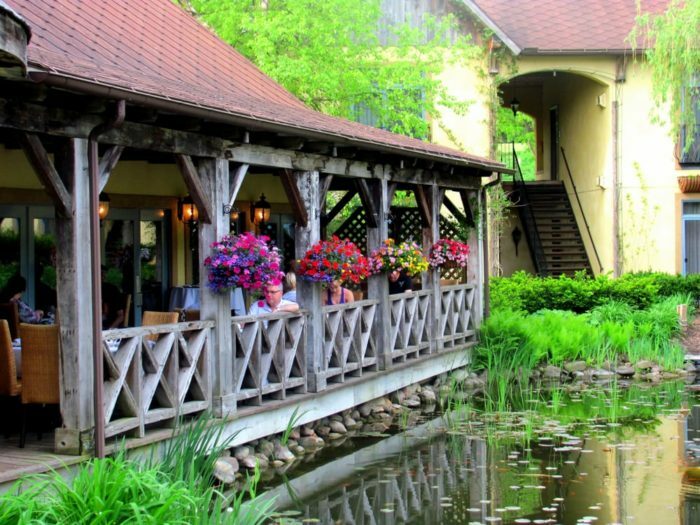 A place you'll wish you had discovered sooner, the Mirbeau Inn is a destination that you'll never forget. 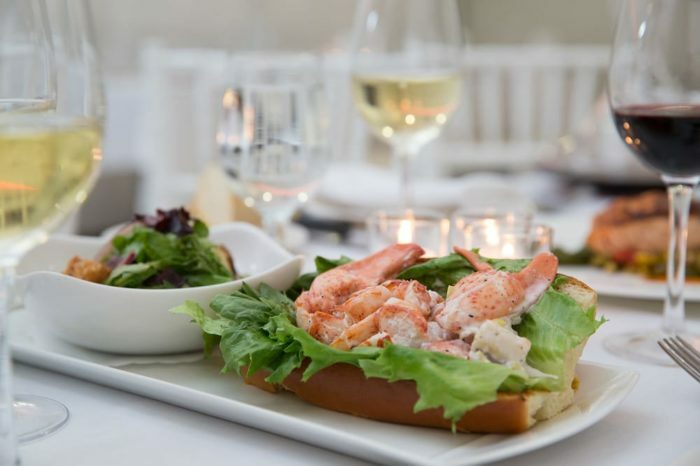 Designed to to make you feel as though you've stepped into a Claude Monet painting, this restaurant is absolutely dreamy and features a savory menu. To find out more information bout this inn, click here. Right along the banks of the Hudson River is a restaurant that gives you a movie-like view that you'll never want to part with. 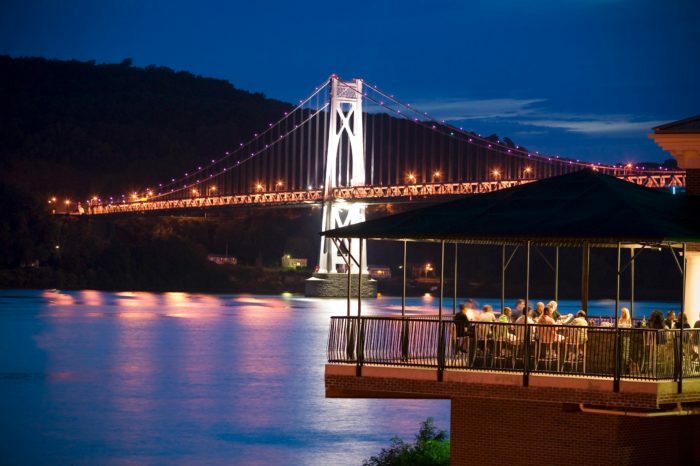 Shadows on the Hudson is an extraordinary waterfront restaurant that features a memorable view of the Mid-Hudson Bridge that's beautiful to see lit up at night. 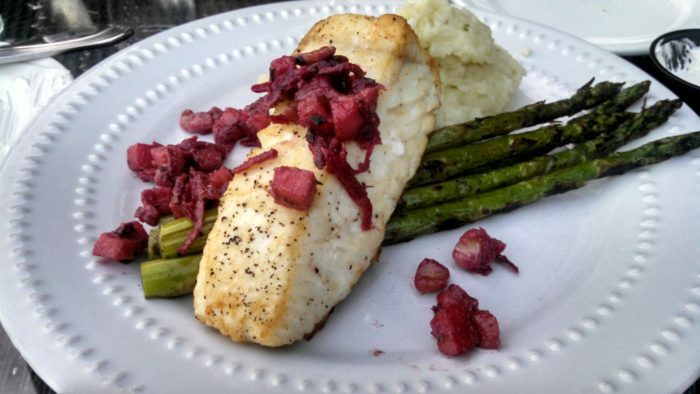 From the marvelous seafood items on the menu to their steaks that will fill you right up, the food here is almost good enough to completely distract you from the wonderful views that surround you here. To find out more information about this award-winning restaurant, click here. 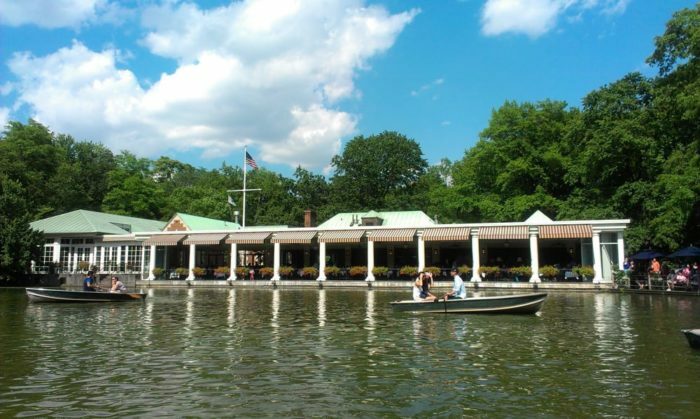 There are lots of amazing features of Central Park, but The Loeb Boathouse might just be our favorite. 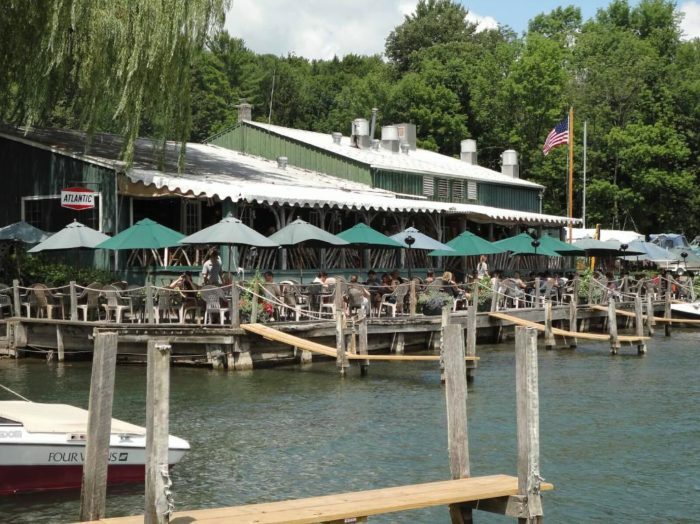 Right on The Lake in the park, this waterfront restaurant is like watching a painting come to life. While dining, guests will be able to see people going by in charming row boats that they can rent from the boathouse. Need a suggestion on when you should visit this magical place? 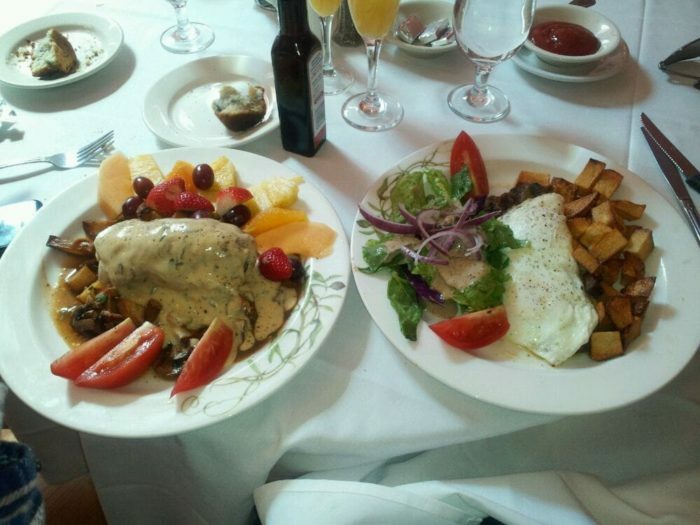 Then we recommend coming here to take advantage of their amazing Brunches. To find out more information about the boathouse, click here. Speaking of the Big Apple, how could you talk about New York's most beautiful restaurants without mentioning our favorite part of Grand Central Station? 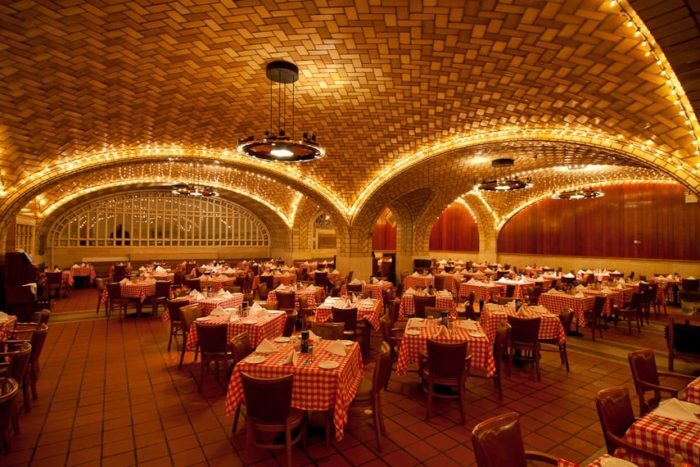 An iconic piece of this historic building, the Oyster Bar will instantly catch your eye with its gorgeous tiled ceiling. 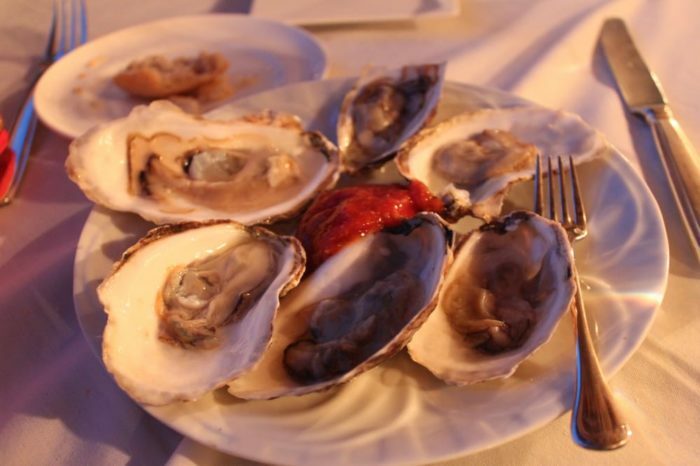 A favorite place that's been wowing guests for more than 100 years, you'll never forget the seafood that will be served to you at Grand Central Oyster Bar. To find out more information about this legendary location, click here. 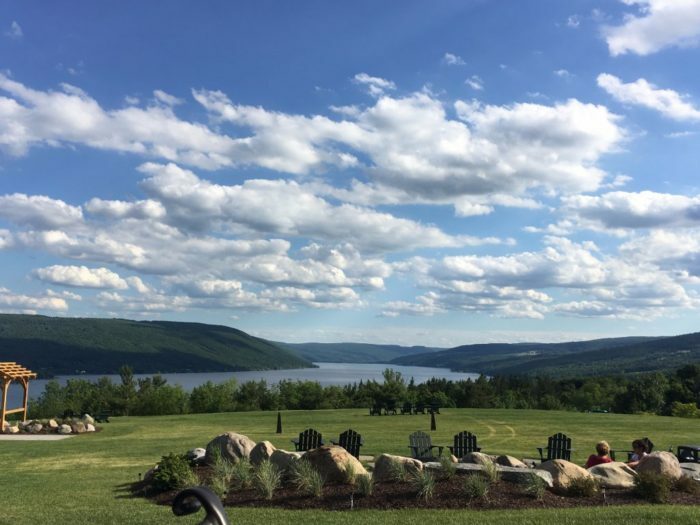 Another restaurant that will have you enjoying views of the water, The Blue Mingo Grill sits right on the western shores of Otsego Lake. 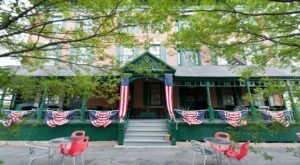 A great place to dine when you find yourself in Cooperstown, this restaurant has been a favorite local spot since the mid 1990s. 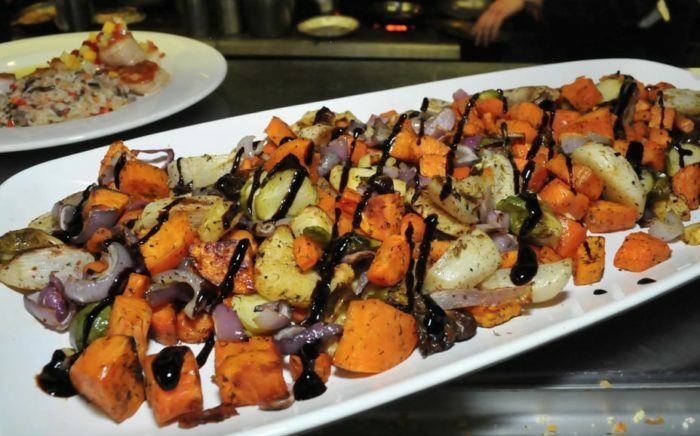 Featuring a menu full of dishes that are made with fresh ingredients, you'll want to try everything here. To find out more information about this waterfront restaurant, click here. 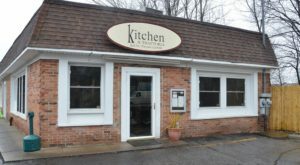 Right on Woodstock's Tinker Street is a restaurant you'll want to make sure you cross off of your bucket list. 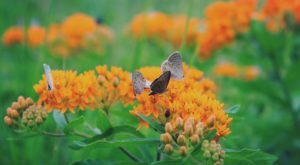 Tucked away along Saw Kill Creek, this small town location will make you feel like you've escaped away from it all. 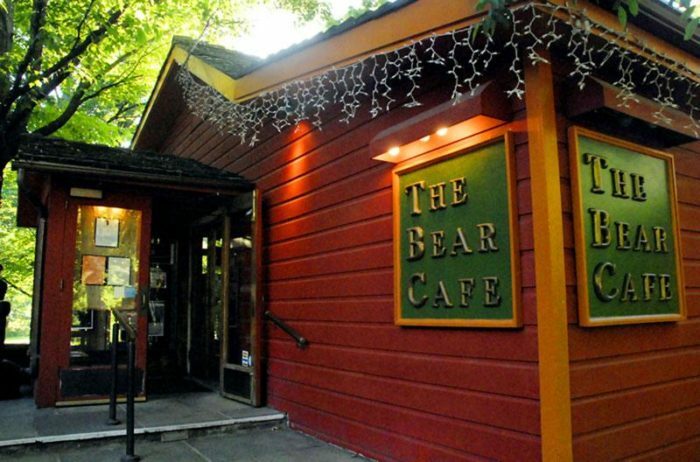 A rustic location that will never fail to charm you, The Bear Cafe's menu is full of New American Cuisine that you'll want to feast on constantly. To find out more information about this fantastic spot, click here. 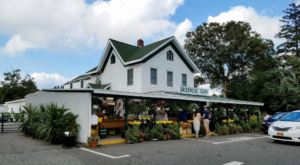 Way up north nestled away within Black River Bay is one of the many destinations that you'll want to check out in Jefferson County. 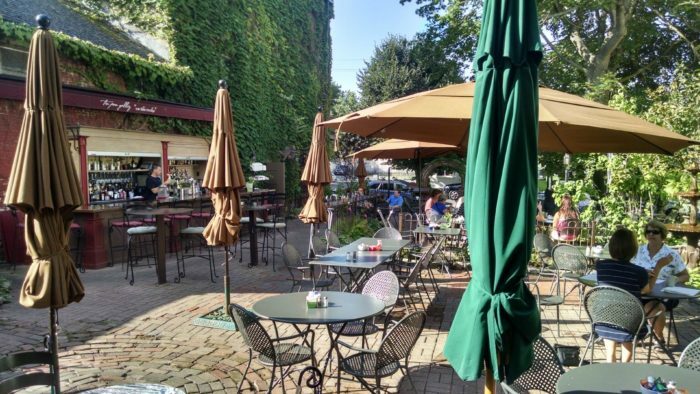 The Tin Pan Galley is a location that has magical outdoor dining that pairs up wonderfully with their exciting menu that will provoke your stomach to rumble. To find out more information about this restaurant, click here. 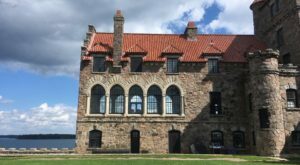 That's right, there's more than one New York castle that you can have the pleasure of dining within. 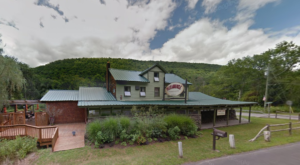 Right near the shores of Seneca Lake, this picturesque location will leave you speechless. 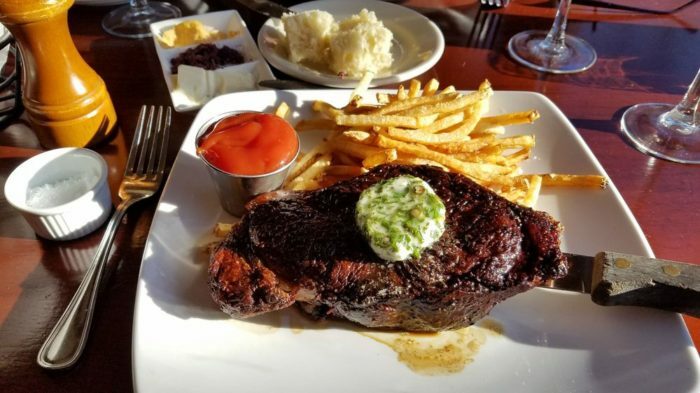 The castle puts you right in the heart of the Finger Lakes, featuring Edgar's Steakhouse that feels more magical than you ever could've imagined. To find out more information about this restaurant, click here. 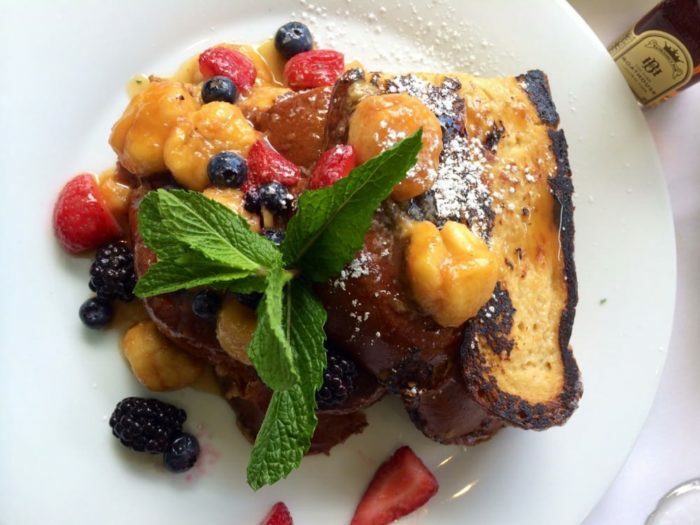 A village you'll hear nothing but great things about, Floral Park on Long Island is home to a restaurant that you'll absolutely love. 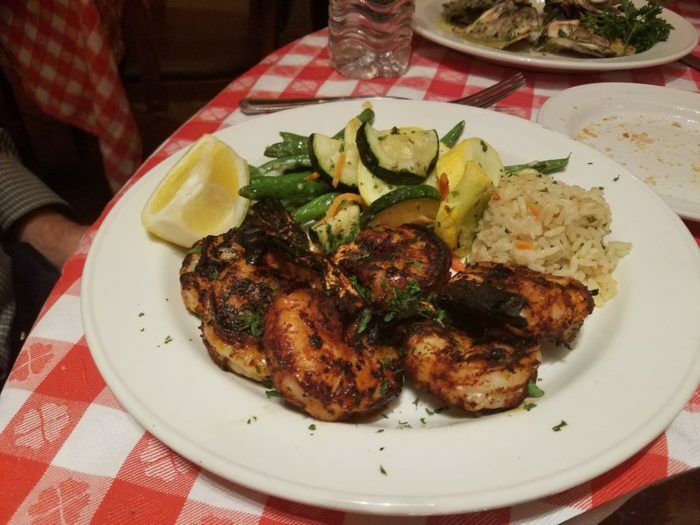 Crabtree's Restaurant in Nassau County features Mediterranean dishes that you won't find just anywhere. 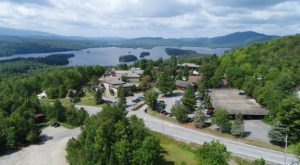 To find out more information about this beautiful location, click here. 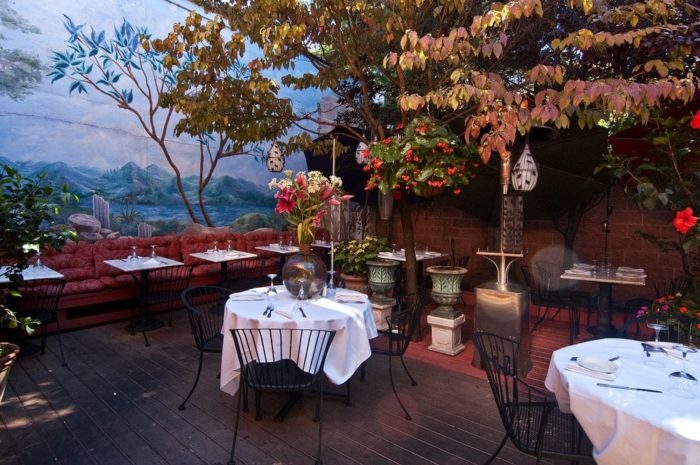 What restaurant in our state always manages to steal your breath away? To find out where the perfect place to grab dessert is, take a look at This Ice Cream Trail In New York That Will Make Your Mouth Water!